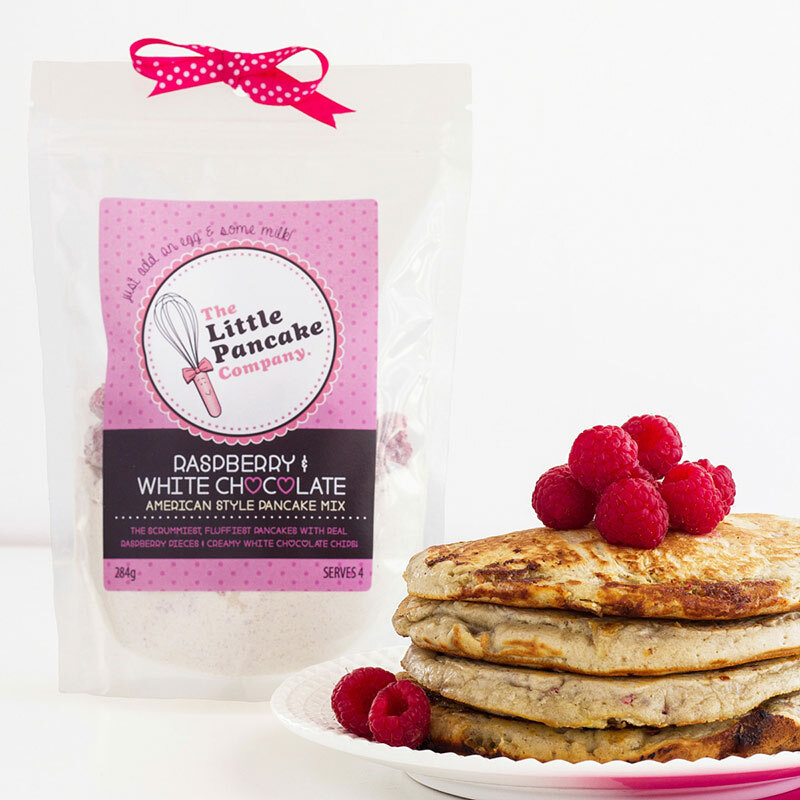 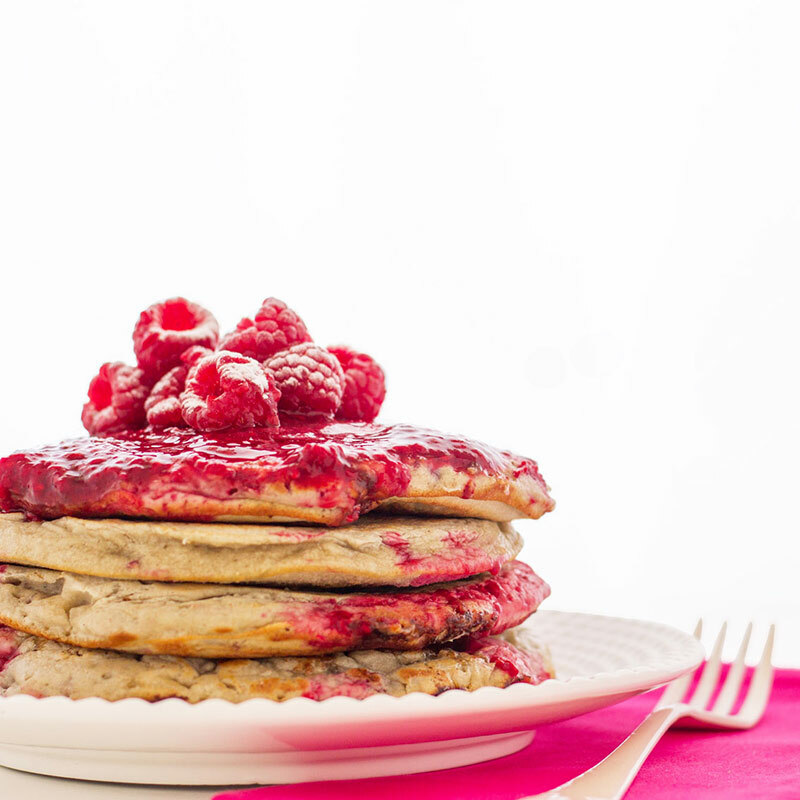 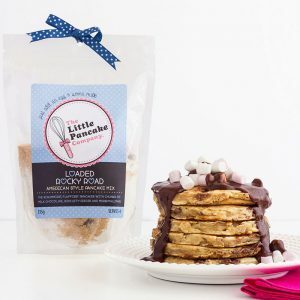 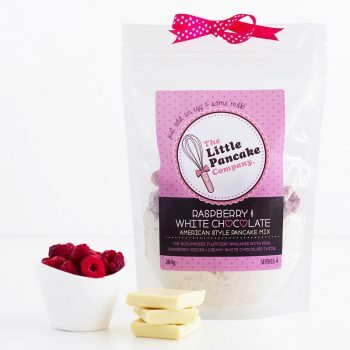 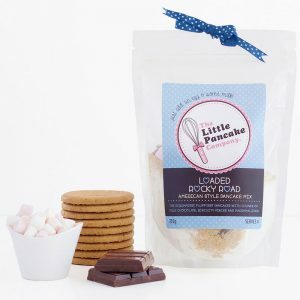 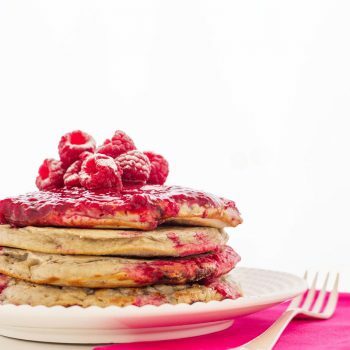 The delicious Gourmet White Chocolate and Raspberry Pancake Mix, which makes 4 servings of American style pancakes is packed with raspberries and Belgian white chocolate. All you need to add to our pancake mix is one egg and some milk (or buttermilk) and then give it a whisk. 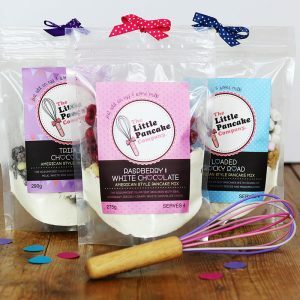 And they only take a minute or two to cook. 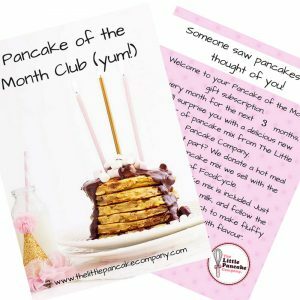 We donate a hot meal to someone who really needs it for every single pancake mix we sell. Wheat Flour (calcium, Niacin, Iron and Thiamin), White Chocolate Chips [Minimum Cocoa Solids 28%] [sugar, cocoa butter, whole milk powder emilsifyer (soya lecithin), natural vanilla flavouring], Caster Sugar, Freeze Dried Raspberries [100% raspberries], Baking Powder [Raising Agents Disodium Diphosphate, Sodium Bicarbonate, Calcium Sulphate], Bicarbonate of Soda [Raising Agent Sodium Bicarbonate], Salt.